Economy to grow by 6.1 % in 2014. Exports seen reaching $5 billion in 2014, from $4.43 bln this year. Imports ballooning to $8.3 billion in 2014 from $7.6 bln this year. Government to assume $1.35 billion Reserve Bank debt, to recapitalize central bank by $200 million. Royalties on gross diamond earnings up to 15pct . Interbank market back, Afreximbank to provide guarantee. Zim gets $1.6 billion Diaspora remittances annually. Here is the full statement; all 262 pages of it! The budget was greeted with derision in certain quarters. Yet in many ways the budget statement contained plenty of sensible proposals, not hugely different to those offered in previous years. Contrary to the arguments of some, the focus on the ‘informal sector’ is to be welcomed. But the big questions were: was there enough money to back the proposals, and were the projections anywhere near accurate? The budget is based once again on assumptions about the growth of agriculture (9%) and mining (11%) in particular. Given the experience of the last year, when the agricultural sector shrunk, and mining did not grow as much as predicted, some argued that these figures were more wishful thinking than sound economic analysis. In the agricultural sector, a number of sensible measures are proposed. The central one was the continued effort to ‘drought proof’ production, and substantial investment in irrigation was again identified as the priority. Timely provision of inputs was also again on the table. And there were other specific measures for particular commodities, such as wheat, dairy and so on where production has been languishing. There was help for the sugar sector too, with a hike in customs duty for imports to avoid further dumping of cheap sugar on the local market. Overall, the agriculture policy focus was on A2 farms, with proposed investments in infrastructure and credit and finance instruments. This may be appropriate given the poor performance of the A2 farms to date, but given the need to get things moving fast, backing the winners in the A1 areas may have made more sense. On land, there is again a commitment to push ahead with the registration and issuing of leases for A2 farms. This is important, but the issue of compensation has yet to be addressed, and there is no evidence of substantial financing for this coming from the Treasury. The ongoing concern about ‘indigenisation’ policy is also addressed, with attempts to clarify what is proposed, with differences between natural resource based industries and others. While requirements for a 51% national ownership are not unusual, even in very progressive, fast-growing economies in Asia, such as Thailand and Indonesia, this particular policy in Zimbabwe has been plagued by controversy and confusion. This has arisen from the extreme politicization of the debate, and the way ‘indigenous’ has been defined in racial terms, combined with the rather aggressive stance of the previous minister responsible, Saviour Kasukwere. Now under the rather less flamboyant Francis Nhema, the rhetoric has been scaled down a peg or two. For example, just before the January 1 deadline, the government backtracked on the proposed ban on foreign ownership in certain sectors, with the minister assuring investors that they had reconsidered. Nevertheless uncertainty prevails and, even though potential investors might be happy to contemplate a 49:51 split in ownership, the prospect of things changing due to political whim remains. And it is this that is perhaps the most unnerving, still preventing significant foreign investment in the Zimbabwean economy. 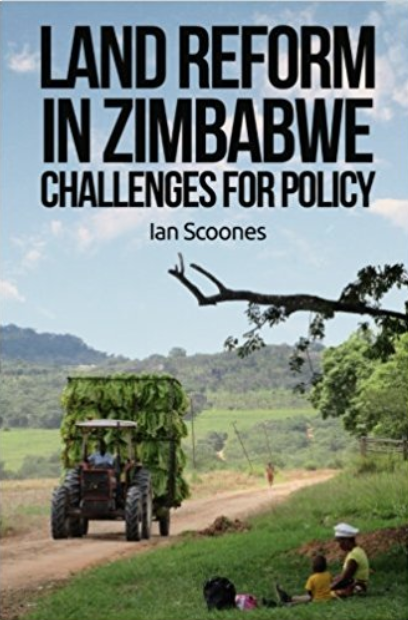 As Chinamasa commented in his statement “policy consistency, credibility, certainty and transparency are critical building blocks for confidence building” (p 89). Absolutely. And the sooner these become sacrosanct principles of Zimbabwean policymaking the better. Paragraphs 654 and following of the budget indicate a change in policy on input distribution. It will no longer be free but subsidised. This, it seems, includes the assistance of the input producers in modernisation of their factories. However the net effect seems to be that seed and fertiliser will not be given out freely but will have to be paid for. It would seem it is not only to prevent corruption in the distribution of inputs but place the responsibility on the farmer to budget for and purchase his own means of production. I feel this will help the dynamic individual but those who are dependent on the idea of free inputs will have a problem. Perhaps it is the latter group that are actually being targetted to force an increase in their production. The government has given out many tons of seed freely and it is not fairly reflected in what is produced in the country. Hence it is not worth giving it out freely to those who are not net surplus producers. But if they have to purchase the input then they are more likely to try and produce more. Ian, its not correct to say Nhema has reversed policy on the January deadline on selected sectors. He has applied the law as it existed under Kasukuwere. that foreigners will register and present their indigenization proposals. Kasukuwere, though boisterous, huge and intimidating, was always asking for indigenization PLANS to be executed over TIME and never insinuated there would be drastic implementation of policy! Talk about chasing foreigners was peddled by lowly ministry officials and media eager to extend the Zimbabwe caricature. By the way, I too liked the informal sector focus of this budget. I was however disappointed by the limited avenues proposed to expand the tax base. Just looking at the prices in the country and the ease with which the population has been able to pay for them is clear evidence the country is awash with monies that are escaping the taxman. We cannot run a country that has a starved national budget while its population is creating a $4 billion trade deficit if favor of SA thru cash trading!! Nowhere else do you have a country with hardly any external loans assuming such huge trade deficits from the cash within its own citizens (or their diaspora funders)!